The packaging of the CDs serves the double purpose to give the finished look of the product and to protect the disc from damage. That’s why the most of the CD packaging materials are strong or semi-strong, since they are designed to protect the CD discs against scratches and impacts. 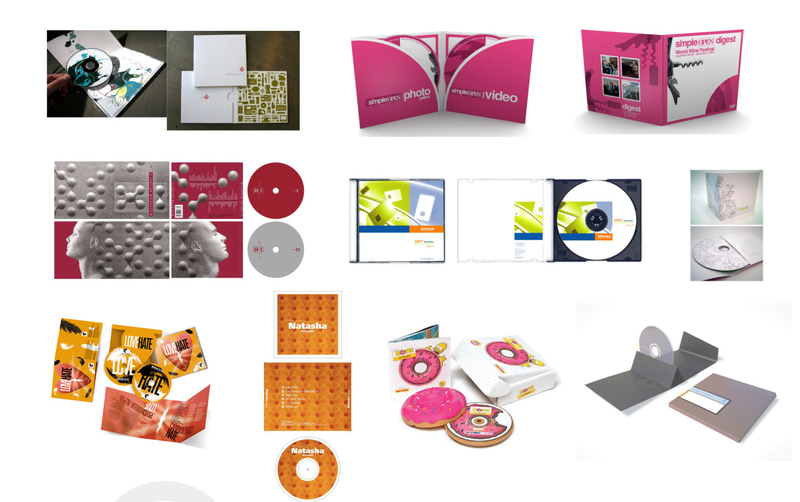 There are several types of CD packaging materials and the client can choose the one that fulfills his budget and needs. The Jewel Case for CDs has been used since the CD was first released in 1982. The CD Jewel case consists of a plastic package with three parts, which measures 142 mm X 125 mm X 10 mm. In addition to the CD, the artwork of the CD packaging usually contains the description of the songs on disc on the back of the card. This type of case opens in two halves, which are transparent and joined. The rear half is holding a tray on which sits a CD. The CD Jewel Cases are made from formed polystyrene. The Simple CD Case is so called - Slimline case with measure 142 mm X 125 mm X 5 mm. This means that they have almost half of thickness of a standard CD Jewel Case. In this respect, the CD Slim Case is a space saving packaging for the CD. However, in these cases there is no space for the full set of inserts (back and front). As a rule, the only piece of paper is used as a cover or to list the tracks. There is no space to rear insert. CD Slim Cases made from two pieces of polystyrene, the one side is transparent the other one is available in several colors - black, clear or coloured. CD Paper Sleeve - the easiest and the cheapest packaging choice. Some of these types of envelopes have a transparent window through which You can see the label of the disc. CD Paper Sleeve - packaging is usually limited to promoting and demonstration CD, because it does not provide sufficient value for commercial use. CD Digipak consists of a plastic tray for CD, stuck in a printed folding carton. It is considered to be more environmentally friendly than the CD Jewel Case, which is made of plastic. It is not as popular as the CD Jewel Case, because its production cost is higher but at InsightVision.Biz the prices of the two types of packaging are very close in order to give the customers a real choice when deciding on the packaging.